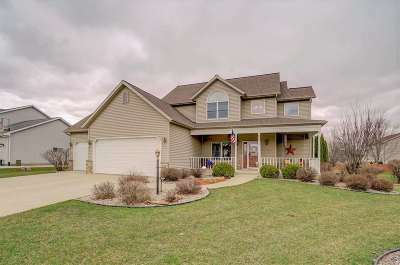 Showings begin 4/14/2019 at open house. 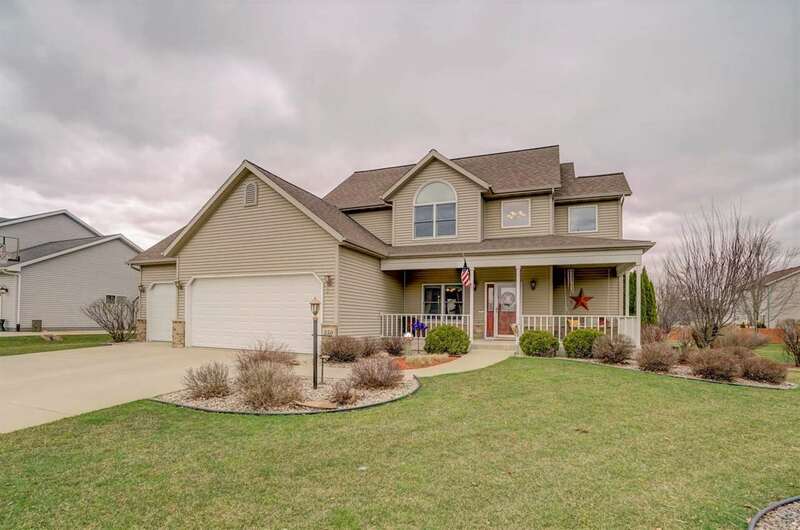 You won't want to leave this custom built home sitting on nearly 1/3 acre lot just two houses down from the Stonehaven pond & park. Open floor plan, spacious kitchen with island and new tile back splash, huge deck overlooking beautifully landscaped yard with pet containment system. Main floor has flex room, currently used as dining room. Upgrades include surround sound inside & out, central vac system, 3 car garage with stairs to basement, master suite with walk-in closet & jetted tub. The unfinished basement boasts 9' ceilings & tons of storage.